She’s right. Lefse is a LOT of work. You peel a buttload of russet potatoes, cut them up, boil them, rice them, let them cool, make the dough, roll out rounds, cook each one on a griddle, then let them cool under towels for several hours. And the flour mess! Goodness! No matter how careful you are, it gets everywhere. 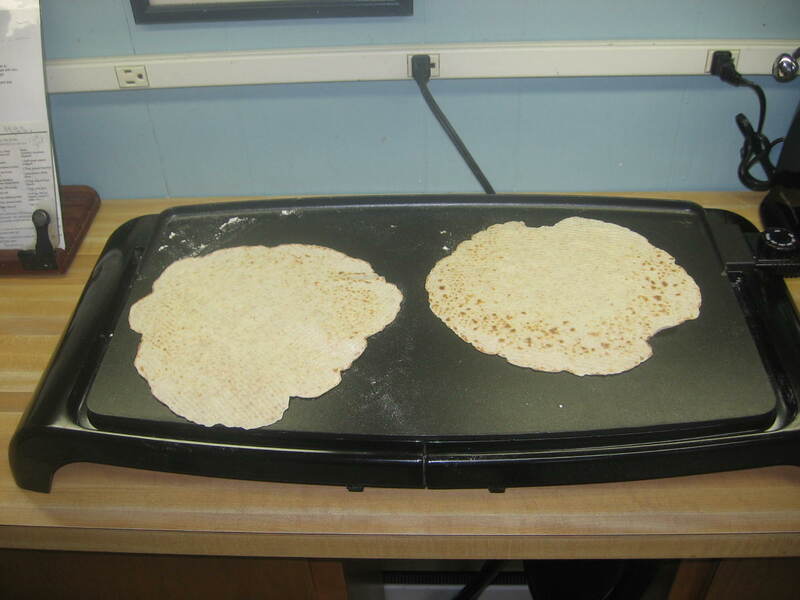 Lefse is made from potatoes, butter, half-and-half, white flour, salt and sugar. The rolling is intense because you have to get the round paper thin or it won’t cook right. Whoever mans the griddle has to be sure to flip at just the right time to avoid crusty edges. It’s a very intense process. Lefse is usually at least a two-person job. But because I’ve been thinking the same thing as Marie about changing the recipe (which might be a felony in Minnesota) and using more healthy ingredients, I decided to venture out on my own, like Hermey in “Rudolph the Red-Nosed Reindeer.” After all, I had my reputation to mend. So today, unbeknownst to my lefse-making crew, I made a small batch using fat-free half-and-half, light butter, and whole wheat flour. I’m quite sure my Grandma Katinka rolled over in her grave. After letting it cool for an hour, I tried one with a little butter and sugar. Bite me, Carlene. This stuff’s goooooood. Of course, selling the rest of the family on whole wheat/light lefse might be a problem. I’m the Mr. Jimmy of lefse. The supplier. The sole provider. I have a laundry list of people who rely on me for their lefse fix. That’s why I’m sending a few rounds to my little sister Emily in California for a taste test. Just as I’m the queen of lefse, she’s the queen of honesty. She won’t let me make a fool of myself. I’ll still make the “real” stuff, but I think I’ll throw in a few whole wheat rounds in the next shipment. Call it a free sample. The true test will be my dad. If he likes it, I should probably market it. Dad is to lefse what Heidi Klum is to fashion. He should have his own show. So do you lighten up your tried and true family recipes? Do you even dare? I mean, some things can’t and shouldn’t be messed with. But some foods, those cherished recipes from childhood, if we want to eat them responsibly, are worth trying to give them a healthy overhaul. If you do it in the privacy of your own home, no one would ever have to know. This entry was posted in Uncategorized on January 19, 2010 by Lynn Haraldson. Giggling at you being the supplier…um, can I get a dime bag's worth of lefse, Mr. Jimmy? Not that I have ever bought a dime bag's worth of anything but candy…and then it was more like a dollar's worth. What was the question again? Can you send me some lefse please? :-). I am so not a cook so no one ever worries about me modifying any recipes. I lightened up the family mac and cheese and the first time it wasn't a big success but with a few changes the second go around was great. I've tried to make most of my favorite recipes healthier and overall it's went well with the family. Glad to hear your Lefse modifications have done well also. I've never had a lefse in my life but they sound like something I would like I think. This is GREAT! 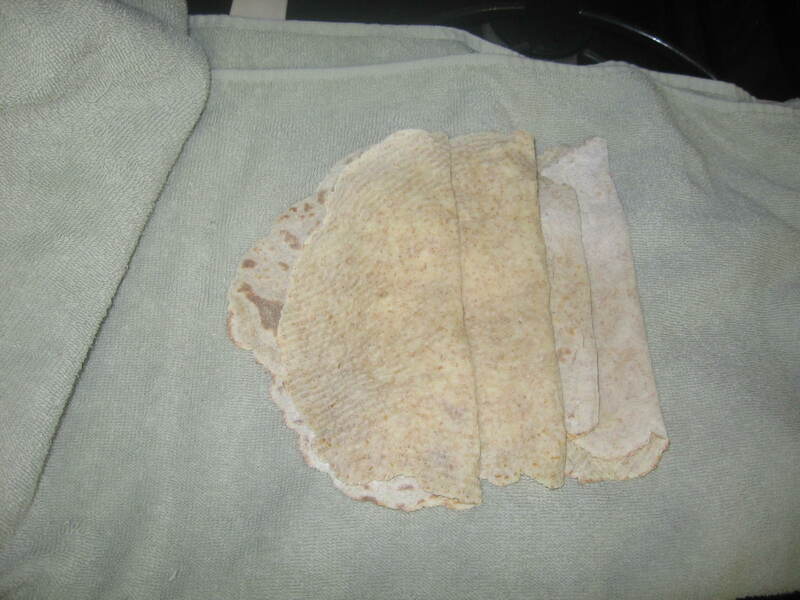 I have made lefse and would love to have it in a healthier version. Thank you for doing the legwork on this!! OMG! What great substitutions. Count me as a German, married to a Norwegian, and I love lefsa..but only with butter, no sugar. Lynn, sounds like the evolution of my scones. I have another suggestion. Not that scones and lefse have anything in common. But the original scones called for heavy cream. After going through a bunch of evolutions, the way I make them now is with either plain yogurt, or greek yogurt and some unsweetened almond breeze. This is the most fabulous rendition, if I do say so myself. Just a thought. I know you like greek yogurt. I will be picturing your dad in high heels on a runway all day now. Lynn, I love lefse and next time we make it, I'll try adapting my recipe like yours. It sounds so good. I, too, have had the good and the bad. I know people who take shortcuts and make it out of instant potatoes. Yuk! I'm so glad to see lefse lovers and lefse wannabe lovers 🙂 If you want a recipe or to see a how-to video, I like the site lefsetime.com. As long as you have a griddle, the right rolling pin, a ricer and a flipper (and a bunch of time) you're pretty much good to go! Char, I've seen lefse recipes that call for instant potatoes. I'm a lefse snob, perhaps, but I'll always use the “real” russets. *giggle* Vickie, I'm pretty sure Dad has NEVER worn high heels. I'm so glad you tried! And I'm even more glad that it worked. Hopefully i can convince my family to try this new recipe during our next lefse making extravaganza. I'm almost positive that my husband will be supportive, he likes healthier alternatives. This makes me wonder…did the original makers of lefse really use white, bleached, over processed flour in the first place?